The impacts of elevated atmospheric CO2 (eCO2) and alterations in nutrient availability on the carbon storage capacity and resilience of the Amazon forest remain highly uncertain. Carbon dynamics are controlled by multiple eco-physiological processes responding to environmental change, but we lack solid experimental evidence, hampering theory development and thus representation in ecosystem models. Here, we present two ecosystem-scale manipulation experiments, to be carried out in the Amazon, that examine tropical ecosystem responses to eCO2 and alterations in nutrient availability and thus will elucidate the representation of crucial ecological processes by ecosystem models. We highlight current gaps in our understanding of tropical ecosystem responses to projected global changes in light of the eco-physiological assumptions considered by current ecosystem models. We conclude that a more detailed process- based representation of the spatial (e.g., soil type; plant functional type) and temporal (seasonal and inter-annual) variability of tropical forests is needed to enhance model predictions of ecosystem responses to projected global environmental change. The proportion of carbon (C) allocated to tree stems is an important determinant of the C sink-strength of global forest ecosystems. Understanding the mechanisms controlling stem growth is essential for parameterization of global vegetation models and to accurately predict future responses of global forest ecosystems in terms of C sequestration. However, due to their underrepresentation in global synthesis we still lack a thorough understanding of intra-annual variations in stem growth of tropical forest ecosystems, which could be especially prone to projected climatic changes. We here present high-resolution data (≤ 6 µm; ≥ 1 min) from a novel monitoring network of wireless devices for automated measurement of expansion and contraction in tree diameter using a membrane potentiometer, point dendrometers on phloem and xylem and sap flow modules to analyze diurnal changes in stem growth. Our results indicate that diurnal changes in stem diameter were associated with sap flow and related to seasonal variations in daytime temperature and water availability, such that daily maximum stem growth was positively related to temperature during the wet season but showed the opposite trend during the onset of the dry season. 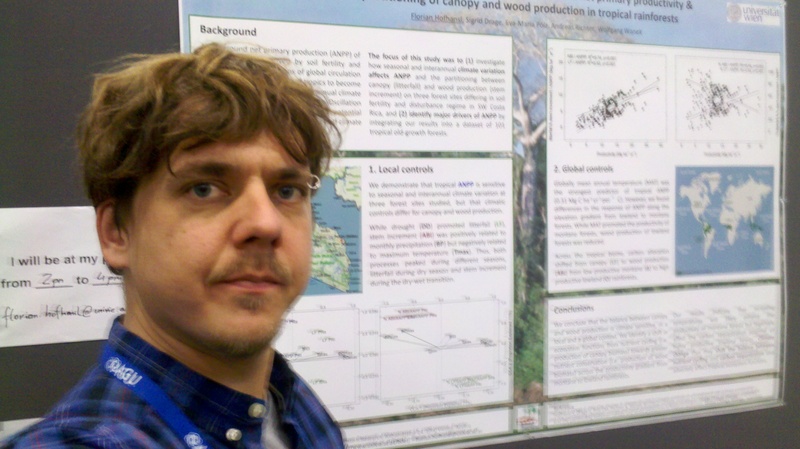 We show that high-resolution monitoring of wood hydraulics and carbon storage of tropical trees is crucial to determine the response of tropical C storage to intra-annual climate variation and therefore will be key to accurately predict future responses of tropical aboveground carbon storage, and should be of special interest for tropical ecosystem research and earth system science. EGU, the European Geosciences Union, is Europe’s premier geosciences union, dedicated to the pursuit of excellence in the geosciences and the planetary and space sciences for the benefit of humanity, worldwide. It was established in September 2002 as a merger of the European Geophysical Society (EGS) and the European Union of Geosciences (EUG), and has headquarters in Munich, Germany. 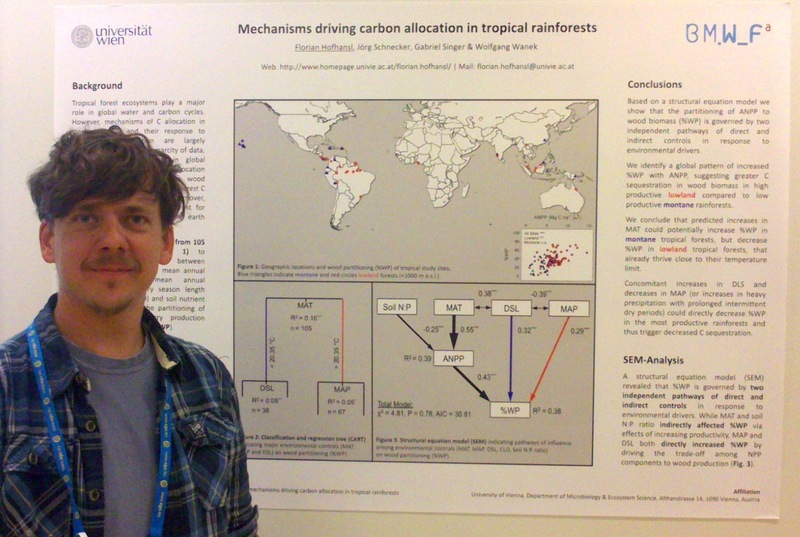 The EGU General Assembly 2014 was held at the Austria Center Vienna (ACV) in Vienna, Austria, from 27 April – 02 May 2014. 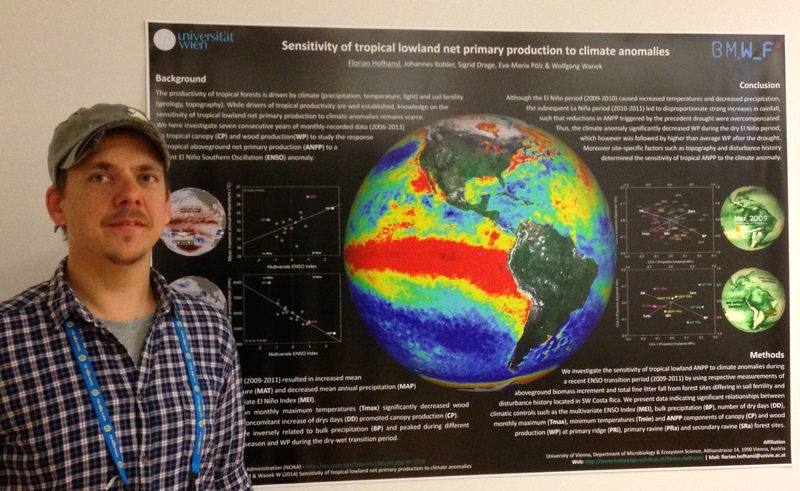 Tags: Conference, EGU, News | Permalink. ATBC was founded as the Association for Tropical Biology (ATB) on July 6, 1962 to promote research and to foster the exchange of ideas among biologists working in tropical environments. After official incorporation as a non-profit organization in 1963, ATB started regular publications and academic symposia to build global networks of tropical biologists and conservationists. Since 1969, ATB has published BIOTROPICA, a high-impact journal of global readership which features peer-reviewed articles and reviews on ecology and evolution of biological and functional diversity in tropical environments, as well as issues critical for conservation of tropical biodiversity. 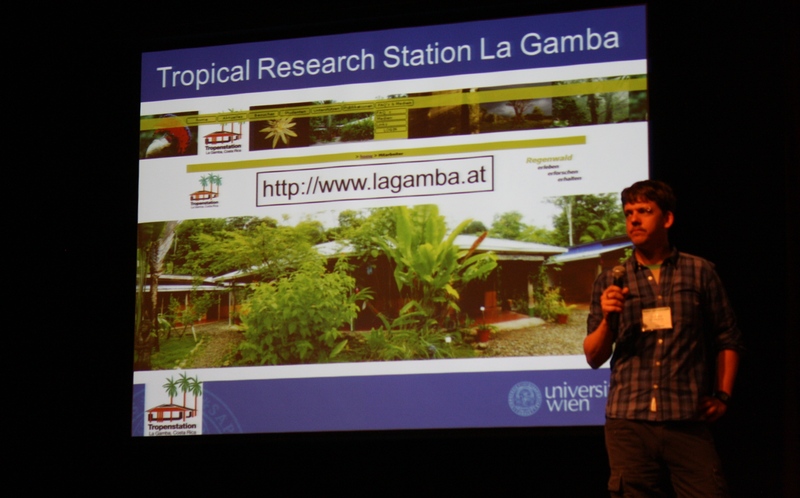 The 50th anniversary meeting of the ATBC took place June 23-27, 2013 in San José, Costa Rica. Tags: ATBC, Conference, News | Permalink. The AGU Fall Meeting is the largest worldwide conference in the geophysical sciences, attracting more than 23,000 Earth and space scientists, educators, students, and other leaders. For 45 years, energized and passionate Earth and space scientists from around the world have been gathering at AGU’s Fall Meeting to connect with colleagues, broaden their knowledge base, and embrace the joy of science. The 2012 meeting took place Monday 3 – Friday 7 December 2012. Tags: AGU, Conference, News | Permalink.